Fifty-one Stetsons and family gathered December 10 at the Emerald Buffet for a most enjoyable evening of good friends, good food, and some fun presentations. Santa presented Elckar with a plaque commemorating his 5 second shake-down of his Giant Scale Piper Cub. Elckar now holds the club record for the most pieces ever to be re-assembled into an airplane! Michel won an award for the club record of over 1000 flights (he says it's nearer to 1400!) on a single aircraft, his invincible Electric Funtana. Of course, there was a funny side to this...he then decided to TRIM the aircraft properly! Some very nice appreciation awards went to our Field Coordinator, Marc Lanthier, and to our President, Dan Marcotte, for all the hard work they do on our behalf. Santa recommended we double their salaries next year! We were pleased to see several of the ladies and a few of the children join us this year. We hope the trend continues to develop. A big thanks goes out to John Jackson for his excellent craftsmanship in creating the awards. the unofficial helicopter and multi-copter fun fly event! 11 heli pilots attended and shared the field with a few of their plank flying brothers, with perfect Indian Summer weather. All types of helis were flown, including electric, nitro, quad and a gopro equipped tri-copter. An obstacle course was set up by Peter Wakefield to challenge the pilot's hovering skills. Several pilots were successful in completing the challenges, including knocking tennis balls off safety cones and picking up target loops with their skids. An honourable mention goes to the pilot who mulched two of the targets with his rotor blades and was disqualified. A great time was had by all and we look forward to another event next year. 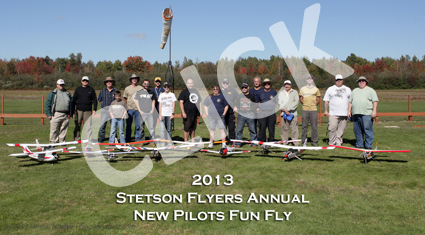 the annual Stetson Flyers New pilots fun fly event! 19 registered pilots including students from the 2012 & 2013 seasons, along with our instructors gathered with family and friends to celebrate another successful year of Flight School. Flight School is critical to the ongoing safety and quality of pilots that join our club and is run entirely on voluntary time and effort. Our instructors and assistants to the school program dedicate significant personal time and often outside of school night to teach our students how to fly. 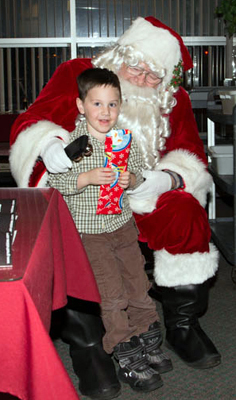 Thank you to everyone who made this event a success and for your tireless support during the year. the annual Stetson Flyers IMAA Giant Rally & Roast Pig event! 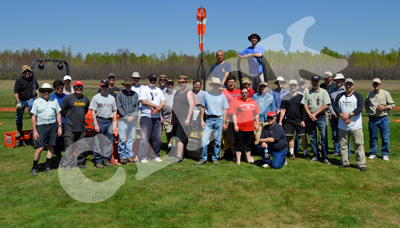 42 registered pilots, countless spectators and many volunteers decended on the Stetson field for a weekend of flying, fun and friends. $120 was raised for prostate cancer research by Julie & Michel Boulerice who cooked up a storm with a pancake breakfast. A lot of flying was done despite the weather on Saturday being overcast and windy, Sunday was a much better day. 47 people stayed for the roast pig dinner catered by Meatings.com who left no-one empty and put on a feast! Huge thanks to Scott as the event director, Ed for 'juicing' the pig, Dan, Don, Elckar & Dave for all your assistance and hard work and to Larry & Goose for the pictures. 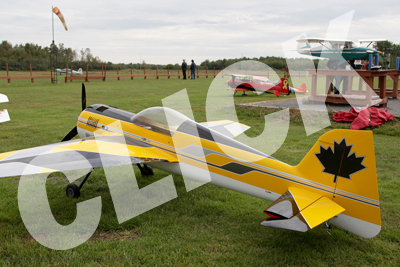 The 2013 Canadian National Scale Aerobatic Competition was held August 23 to 25, 2013. 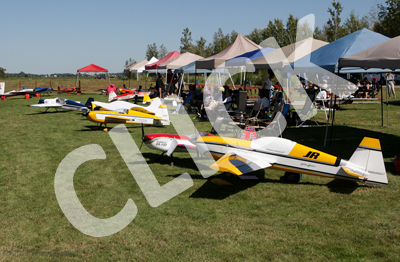 This prestigious event was hosted by the Stetson flyers club and featured a huge variety of planes and pilots. I was able to spend Saturday afternoon on the flight line to see the end of the Sportsman class and the freeestyle section. The 2013 Ed Rae Memorial Fun Fly was held on June 1st at the Stetson field, opening with an overcast day and rising winds ahead of a large thunderstorm system that reached our field around 7pm bringing with it a ton of wind and rain. 30 pilots registered for the event bringing aircraft of every size and type and with only one or two incidents to report, a great day was had by all. Once again we were joined by Ed Rae's daughter & her husband Virginia & Jim Gunn to help honour the memory of Ed and a moments silence was observed at lunch time to remember all those members we have lost. They also picked winners for Peoples choice, best warbird and best aircraft which was won by Mike Gratton (warbird) and yours truly for which we were both very happy. Several prizes were drawn, all of which were generously donated by Orleans Hobby & Great Hobbies (Thank you!) with the major prize being won by Maurice. Elcar also picked up the 50/50 which is a nice welcome to the club. Once again, HUGE THANKS! 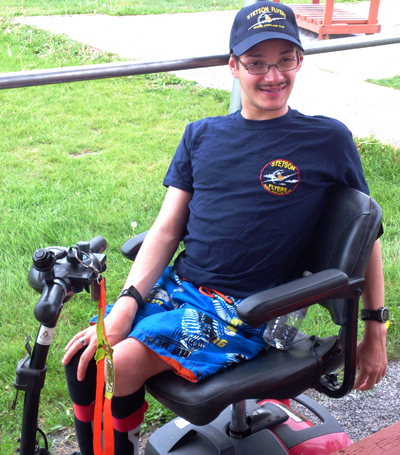 go out to Dan and his team of volunteers who organize everything ensuring that the event is safe, fun and successful. Photo's were taken throughout the day aimed at giving you a solid overall view of the event, please enjoy! Sporting a Stetson hat & shirt... is Jean Legault, the son of our club grass contractor who showed up for the Ed Rae Memorial Fun Fly today. He was shown around by Dan and Hal followed by an in-depth explanation by René Lepage about our awesome hobby, planes and flying. Thanks to all that showed him a good time and thank you Jean for coming along! To all of you (33 workers) who came today, gave your time, your labour and lent your tools and equipment for our annual field clean-up, thank you. Knowing that most of you probably had a long list of chores to do at home or on your own property, your work is even more appreciated. Not only did you accomplish everything that was on our list but many more things that were not essential or urgent at this time. Thanks also to Tom Pellow, Bill MacDonald and Fred Lottes who rolled the runway and pit area for many hours on Friday. Special thanks to Pete Blair who came with his truck and large trailer to deliver 13,920kg of crush stone and stone dust. 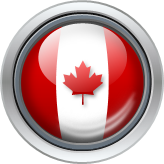 Also to Douglas and Johnathan Le Touzel for using their priceless Kubota tractor. Without their help the work would not have been completed by early afternoon. You can be proud; you have provided first class facilities to each and every member of your club. So now enjoy them and good flying. 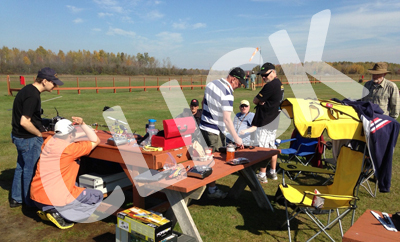 Around 20 brave souls...showed up at the Stetson field for the annual Winter Fun Fly event on Saturday March 2, 2013. The temperature was pretty good, hovering around -4°C but felt considerably cooler with the 20kph wind gusting 34kph from the North-West corner of the field. 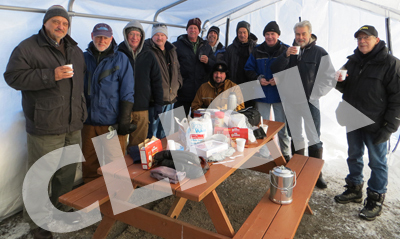 Once again the shelter and propane heaters kept everyone warm and in good spirits. Dan & Sue organized the chilli lunch that was scoffed down in short order to keep the insides warm as well. A good day had by all... a big Thank You! to the organizers and all those who showed up. Also, a very special thank you to Marcel Pronovost who cleared masses of snow from the driveway and carpark. Click the image above for pictures and enjoy! The first flight of 2013...was a bright and crisp winter morning with a gentle 20k north breeze and a balmy -25C windchill to greet 19 people who were crazy enough to come out for the fun and hot chocolate. As usual, President Dan and Marc Lanthier were there early. Thanks Dan for all the snow shoveling to allow us movement! As you can see, we have a solid 2 foot snow pack at this time, so Dan's efforts were very much needed. Huge thanks to Marcel Pronovost who cleared the driveway and parking lot for the event! Ken Park, representing Model Airplane News, attended the event and presented us with three sets of DuBro skis, which he is testing out for them. His photo set is here (Flickr), and some of the content may see print NEXT winter in M.A.N. The shelter was a very popular hang-out between flights. What a difference it makes, getting warmed up and gathering there for hot chocolate and TimBits! Winter flying with this arrangement is really pretty comfortable if you dress properly. Happy New Year all you Stetsons! We hope you will get out and enjoy winter flying on those special days when the sky is bright blue and the wind is low. Happy Skiing! Photographers: Gary, Hal & Jessica.